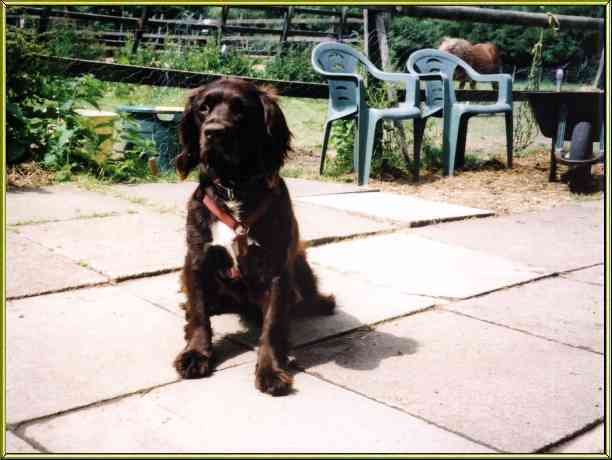 Rum the field spaniel amuses himself by finding the most odourous area of the yard and then rolling in it upside down. The results are "interesting", to put it mildly. An easy-going dog, even when the chickens steal his food, Rum accompanies Kathy on her daily routine at the stable yard.